We are proud of the fact that we are able to furnish reliable, reasonably priced transportation for our county citizens with mobility disabilities. The lifts and wheelchair securement systems designed for our vehicles are easy to operate and make transporting passengers which are unable to enter our vehicles via the steps a very simple matter. When scheduling a ride, give 24-hour notice, inform us of your needs, and we will send the proper vehicle to accommodate those needs. All vehicles are equipped with safety features including hand rails, well-lit 8-10 inch striped steps and lifts that are 30” to 33” wide. Etowah County Rural Transportation (ECRT) will transport a wheelchair and occupant if the lift and vehicle can physically accommodate them, unless doing so is inconsistent with safety standards. The definition of a wheelchair is a mobility device with 3 or 4 wheels that does not exceed 30 inches in width and 48 inches in length and is designed for a person with mobility disabilities. The device may be operated manually or powered; however if your device is powered, our drivers are not permitted to operate them at any time. Passengers utilizing a wheelchair may transfer to a regular seat in the vehicle, if the passenger wishes to do so and is able to complete the transfer with no assistance from the driver. Drivers are not permitted to lift or pull any individual to enable them to transfer into or out of a regular seat. ECRT requires that all mobility devices be secured when being transported utilizing the four-point securement system within our vehicles. Our drivers have been trained and are required to use a four and six-point tie-down system for the safest securement for our passengers. Only ECRT trained staff is to operate the lift systems on our vehicles. Any passenger whether in a wheelchair or not who is unable to enter or exit the vehicle by the use of the stairs may also utilize the lift for boarding and de-boarding the vehicle. Remember, the driver can only perform reasonable assistance when boarding and de-boarding. Reasonable assistance is defined as opening of a door, offering of an arm, or helping with a minimal number of packages (See Parcel Policy). Drivers are trained to provide minimal assistance only and are not trained to provide medical assistance. ECRT offers origin to destination service, meaning our driver will provide reasonable assistance within a 25-foot radius of the bus. Our drivers must maintain sight of the vehicle to ensure the safety of any passengers on board as well as security of the vehicle itself. We do not enter homes, and there is a limit of three (3) steps. If you need further assistance, please have a friend, family member, or Personal Care Assistant (PCA) accompany you. There is no charge for one assistant/PCA to ride. Animals such as a guide dog, signal dog or other animals individually trained to work or perform tasks for an individual with a disability are welcome to board the vehicle with the disabled person at no charge. The animal trained to work or perform tasks for an individual is to be under the control of the individual, not ECRT. If an animal has created a prior incident posing a direct threat to the health and safety of others, the service animal will be excluded from service with ECRT. Please respect that these are working animals and are not to be touched or distracted while performing their duties. 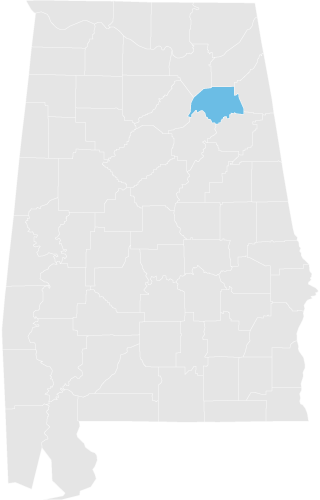 In accordance with the Americans with Disabilities Act (ADA) and directives from the Federal Transit Administration, Etowah County Rural Transportation will make every effort, to the maximum extent feasible, to ensure that a person with a disability has access to, and benefits from, its services. Etowah County Rural Transportation will make reasonable modifications to its policies, programs, and procedures applicable to its transportation services when necessary to avoid discrimination and ensure accessibility for people with disabilities. Whenever feasible, requests for modifications shall be made and determined in advance, before the transportation provider is expected to provide the modified service, for example, during the paratransit eligibility process, through customer service inquiries, or through the entity’s complaint process. Where a request for modification cannot practicably be made and determined in advance (e.g., because of a condition or barrier at the destination of a paratransit or fixed route trip of which the individual with a disability was unaware until arriving), operating personnel of the entity shall make a determination of whether the modification should be provided at the time of the request. Operating personnel may consult with the entity’s management before making a determination to grant or deny the request. Within the scope of the ADA and reasonable modification, if Etowah County Rural Transportation denies a request it will make every effort, to the maximum extent feasible, to ensure that a person with a disability has access to, and benefits from, its services. To request reasonable modifications based on a disability, please use the Reasonable Modification Request Form or contact Etowah County Rural Transportation’s ADA Coordinator for assistance. You may be asked to complete a request form. Etowah County Rural Transportation will review the request in accordance with its reasonable modification plan. Etowah County Rural Transportation strives to respond, in writing, to each request within 30 calendar days. All the information involved with this process will be kept confidential. Consistent with Department of Transportation regulations, Etowah County Rural Transportation will transport a mobility device with three or more wheels and its user so long as the lift can safely accommodate the size and weight of the mobility device and its user and there is space for the mobility device on the vehicle. This grievance procedure is established to meet the requirements of the Americans with Disabilities Act of 1990. It may be used by anyone who wishes to file a complaint alleging discrimination on the basis of disability in the provision of services, activities, programs, or benefits by the Etowah County Rural Transportation. Etowah County Commission’s personnel policies govern employment-related complaints of disability discrimination. Within 30 calendar days after receipt of the complaint, the Accessibility Coordinator or his/her designee will meet with the complainant to discuss the complaint and the possible resolutions. Within 30 calendar days of the meeting, the Accessibility Coordinator or his/her designee will respond in writing, and where appropriate, in format accessible to the complainant, such as large print or Braille. The response will explain the position of the Agency and offer options for substantive resolution of the complaint. If the response by the Accessibility Coordinator or his/her designee does not satisfactorily resolve the issue, the complainant may appeal the decision within 30 calendar days after receipt of the response to the Accessibility Coordinator or his/her designee. Within 30 calendar days after receipt of the appeal, the Accessibility Coordinator or his/her designee will meet with the complainant to discuss the complaint and possible resolutions. Within 30 calendar days after the meeting, the Accessibility Coordinator or his/her designee will respond in writing, and, where appropriate, in a format accessible to the complainant, with a final resolution of the complaint. All written complaints received by the Accessibility Coordinator or his/her designee, appeals to the Accessibility Coordinator or his/her designee, and responses from these two offices will be retained by the Agency for at least three years. Formal complaints should be submitted by filling out the Etowah County Rural Transportation ADA Grievance Form.